Jeff Lutrell, an 11-year old boy with life-threatening leukemia, wished to create an action figure from his own imagination. Through the help of the Make-A-Wish Foundation and Resaurus Co, his wish became reality in May 1999. Jeff, an avid action figure collector, has drawn and created his own concepts since he was 9 years old. 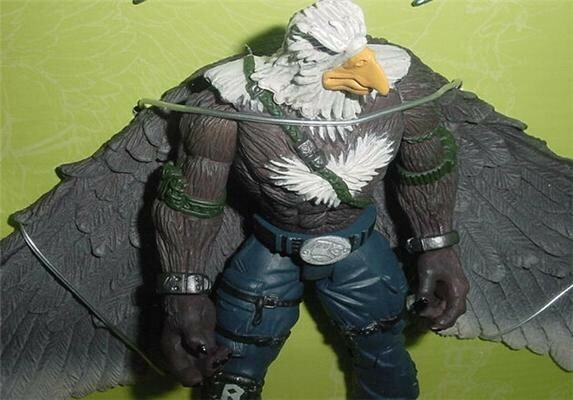 His favorite creation was Razor, a nuclear mutated half-man, half-eagle superhero who glides through the air saving the world from evil. 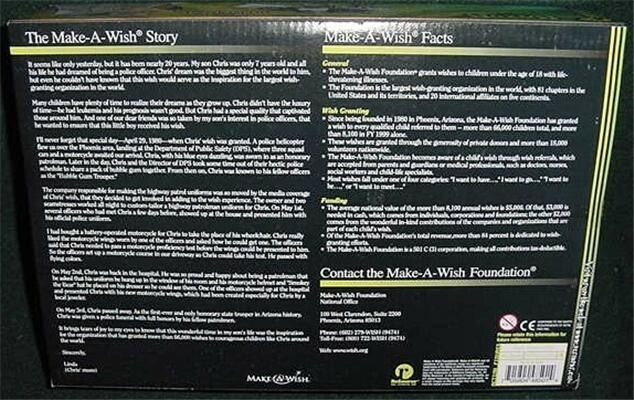 $5 from the sale of the figure were donated to the Make-A-Wish Foundation. 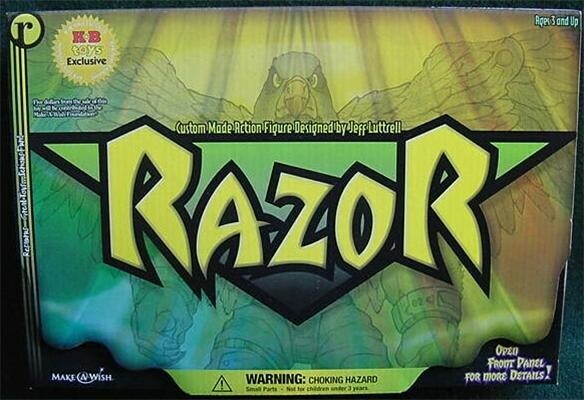 Razor's mother knew that he would be different when his egg glowed in her nest. 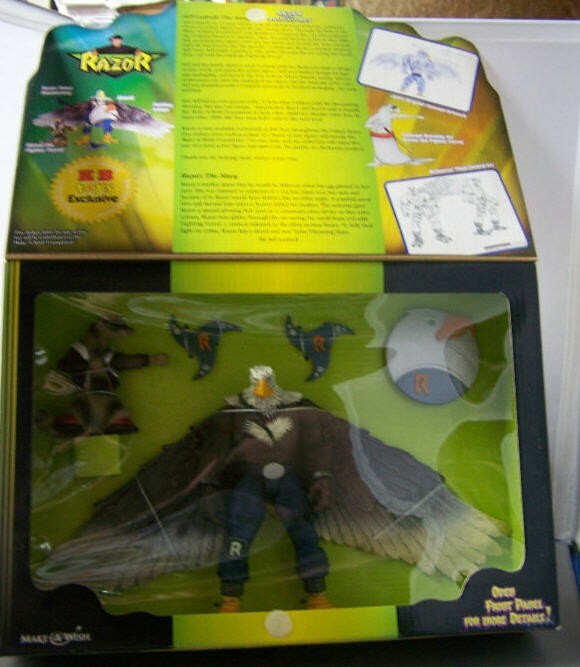 She was exposed to radiation at a nuclear plant near her nest and because of it, Razor would have abilities like no other eagle. A scientist saved him and nursed him when a hunter killed his mother. The scientist gave Razor a special glowing belt used as a communication device as they solve crimes. 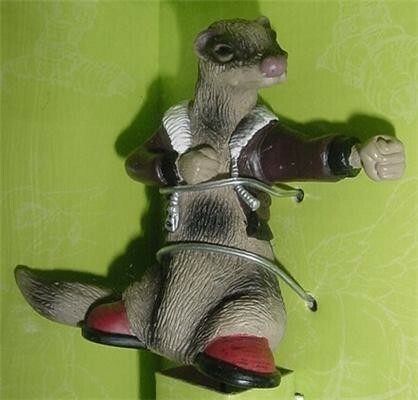 Razor now glides through the air saving the world from evil with Fighting Ferret, a comical sidekick.